This article has been moved to griffintower.com! Yes same here, I also play HOMM II almost equally. They are quite equal in terms of quality, I think. Third has more monsters, but the second has enough also. I prefer graphical themes and music of the second over the third slightly, also I like the thing that in second you cannot swamp Artifacts between heroes, and once you pick up one, you'll have to stick with it. Meaning that with bad luck you get negative effect Artifact, and cannot swap items to make a super-hero. It adds bit of a balance I think, for running through all stat increasing buildings around the map will already big bit overpowered boost for hero stats. But I love both of them, have played HOMM III more overall. I love Homm2 too. I don't want to disapoint you but you can trade artifacts from one hero to another. You can? Gosh I must remember wrong then :). I remembered that once you picked one up it was hardcoded to that specific hero. That's quite a huge thing I've missed if so. I still play HOMM II time to time, but HOMM III has been getting bit more play-time for me recently. Played both games A LOT back when they originally were released. You know if someone - preferrably Caneghem and some old New World Computing guys - made a new Heroes Of Might And Magic game with old school 2D graphics style, being very drawing like fantasy art by it's graphics with the best quality you can come out with 2D style combining todays technology with it. Well. I would totally buy that game! 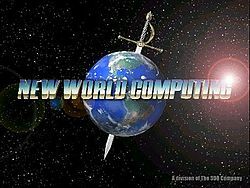 There is a rumour that the ex New World Computing will be making the Heroes VII sometime 2014. Naah, just kidding. I was just dreaming they would do that. Damn it.. for a split second I thought.. for a split second.. :S Then again, they were going downhill with their latest games for both 'Might And Magic' and 'Heroes Of', so I'd be cautious whether a reformed team could actually come out with a good installment (if they got the rights back first!). Maybe they should crowd-fund it on kickstarter.com :-) Yey, count me in!